It is pretty simple right? A good accounting firm San Antonio is the one, which has a proper accounting system. However, is it that simple to keep a great accounting system? Along with professional payroll services, Uhlenbrock CPA has been providing various accounting services to its customers for a very long time now. The firm has always satisfied its customers, and hence has the confidence to tell you what it takes to a have a good accounting system. So, let’s see what makes a good accounting firm San Antonio. The information that the accounting system holds should be free of error. There should be no space for guesswork when it comes to a firm’s accounting system. If there is, then it becomes a major problem. In order to avoid this, a firm has to make sure everything is setup correctly and all the entries are correct. After all, the accounting system would only work with the information you feed it. A good accounting system would know that only that information is relevant which influences the decisions of the business. For this to successfully happen, the information must be available on time. Secondly, it should have that level of detail, which is significant enough in order to show comparisons, trends and other information influencing the business decisions. If there is a space for guesswork in an accounting system, then the company is more prone to errors. However, when the accounting system is easy-to-understand and user friendly, then there is more chance of the accounting system being implemented to its full capacity. Hire the best Certified Public Accountant in San Antonio! Call Uhlenbrock CPA at 210-701-1040 now. Clear all your doubts about the IRS! We know how you hold Uhlenbrock as your trustworthy Accounting Firm in San Antonio. That makes it our responsibility to clear all your doubts when it comes to accounting. Now, when we talk about accounting, it is majorly affected by the activities of IRS, which eventually affect you. 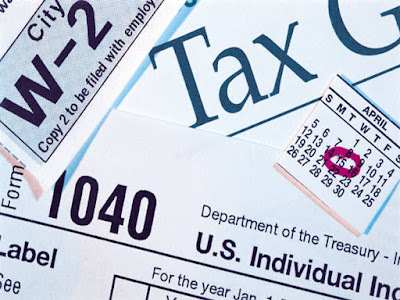 Therefore, it is time to clear all your doubts about IRS. In this blog, we have tried our best to compile some of the most frequently asked questions about IRS. Here they are. Q1: What should I do if I have unfiled tax returns? The best and quite frankly the very obvious thing to do is to file your tax returns as soon as possible. With the help of contractors, employers, mortgage holders or the assets, you have purchased, the IRS will find out about the non-payment anyway. When it comes to fines you would have to pay, they would only increase with time. You might be able to qualify for an Installment Agreement, Offer in Compromise, or Currently Not Collectible Status if you are unable to pay all of your taxes. In order to prepare for resolving previous years of unfiled tax returns you should collect all tax documentation that would be required for the same. However, if you are not able to find some of the documentation, then our accounting firm in San Antonio can help you with IRS representation. Q2: What are my options, if I cannot pay what I owe to the IRS? negotiating an Offer in Compromise is long and complicated. It can last up to 18 months. The statistics show that around quarter of all offers are accepted. This makes us come to the next point of hiring a professional. In matters like these, you want to get it right from the beginning. A professional can majorly help. We understand how you may have more questions, and therefore are providing you with the continuation of this topic in the next blog. For Professional Payroll Services San Antonio and other accounting services in San Antonio, call 210-701-1040.